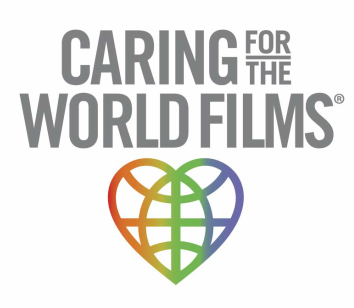 Dallas, TX (November 30, 2012) – Caring For The World Films, a non-profit documentary film company, has announced it is the recipient of four 2012 Omni Awards. The Omni Intermedia Awards are designed to recognize and commend the accomplishments of outstanding media production in a variety of fields. Caring For The World Films was awarded two Bronze Omnis for Hearts In The Himalayas in the categories Directing and Cinematography/Videography/Photography and two Silver Omnis in the categories of Documentary and Public Service Media. 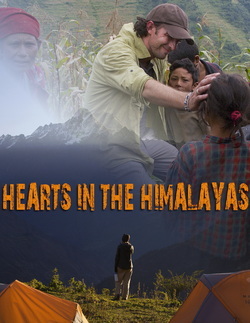 Hearts In The Himalayas showcases the humanitarian efforts of the non-profit organization Himalayan HealthCare. The film profiles the work of the driven and dedicated volunteer organization, which provides medical care, education, and income generation opportunities to the mostly forgotten people who live in the remote foothills of the Ganesh-Himal mountain range in Nepal. "We are very pleased with our accomplishments in this year's Omni competition, and extremely proud of all of the project volunteers, specifically the Nepalese crew who contributed their skills to the filming of this two-year endeavor” said Debi Lang, President of Caring For The World Films. "We are honored that our work has been recognized by the peers within the film industry.” In 2011, Caring For The World Films received two Omni Awards for Road To San Marcos and Return To San Marcos. The Omni Awards were created to reward outstanding media productions that engage, empower and enlighten. With an Omni Award comes the distinction of being chosen by professionals as an example of excellence. It allows others to recognize the company's level of success and professionalism. Thousands of entries are submitted from all over the country and winners are chosen from over 30 categories through a rigorous judging process. The professionals on the Omni Awards judging panel independently judge all entries based on a strict set of criteria for each specific media type. The criteria include programming,graphics, functionality, media presentation/quality, creativity and impact.After the entries are judged, the judge’s scores are averaged together to attain the final score. Only the elite entrants are honored with Gold, Silver, or Bronze awards.